Some years after my one and only live encounter with a rattlesnake, I was camping along the Deschutes River in the high desert of Oregon with my husband and some friends. One of our friends was so scared of snakes in the area, she refused to leave our campsite. She and her partner and my husband were happy to sit around the picnic table reading, painting, and talking. I was eager for a walk, and so set out along the rocky sagebrush trail along the river. “Watch out for snakes!” were my husband’s parting words. Thanks a lot. As I walked along, I thought about how terrified I’d always been of snakes. I grew up hearing stories from my grandmother, who didn’t have indoor plumbing until she came to America at the age of twenty-five, about snakes in outhouses. When I slept in a strange bed, it was always snakes I feared coming out from underneath to bite me in the ankles or worse. When I was eight, a common garter snake sighted from twenty feet away made me run so far and fast I thought my heart would stop. I wasn’t scared of snakes in books, movies, pet stores, or zoos; it was the idea of snakes in the wild that got to me. So as I walked along the Deschutes that day, I could feel my heart pounding with each beat the temptation to turn back to the campsite. What am I doing? I wondered. Why am I out here all alone? I began to wonder what it would be like not to be afraid any more. 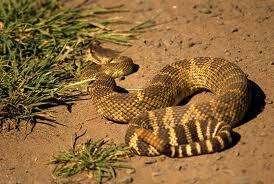 I knew what rattlesnakes looked like and I knew how to avoid them. I taught myself, there on that trail, to keep my eyes sweeping from right to left about four or five feet ahead of time, covering a swath three or four feet wide on either side. (Later, when my son was about six, I explained this technique to him, calling it “snake eyes.”) I managed to enjoy the hike while keeping my eyes open for snakes. I’ve never been afraid of snakes since, and the experience has been a parable for me of dealing with certain kinds of fear. That’s not a rattlesnake story! That’s a facing-your-fears story. I want my money back. So spake my teenager. I’m not sure what the difference is, I replied. A rattlesnake story would actually have a rattlesnake in it. Okay, I get it. Sorry. To me it’s a still a good story. Do you have a rattlesnake story? Or a facing-your-fears story? Let’s hear it. Twelve years ago I enrolled my son into a lovely, if somewhat precious, alternative preschool in Southeast Portland. Twelve children and two wonderful teachers gathered some combination of two or three days each week from nine to noon to play outside (rain or shine), make art, make friends, play trains, eat snacks, and generally be about the business of transitioning from toddlerhood to kindergarten. As the fall unfolded, the rains began, and we all looked toward the darker season, I learned that, as for the rest of us, December was going to be a busy month for preschoolers. They were promised a different special guest every week, giving presentations on Hanukkah, Kwanzaa, and the winter solstice. I decided it might be fun for the kids to learn about Advent, the Christian tradition’s four-week countdown to Christmas. I would show them the Advent wreath, teach them how to make a simple one using greens from the school’s huge backyard, and talk about lighting the candles one by one as we wait for Jesus to be born, the same way many of the kids had waited for their baby brother or sister to be born. Some humorous conversation ensued, in which the more experienced teacher had to interject the assurance that Jesus was not actually going to come to anyone’s house on Christmas Eve, at which point some of the kids began to focus on Santa, who most certainly was coming on Christmas Eve. My three-year-old then made piped up to ask: “But mom: what’s Jesus?” I could’ve been mortified that the son of a church lady and aspiring clergy mom didn’t know who Jesus was, but really I thought it was hilarious. And a good question. How would you answer it? 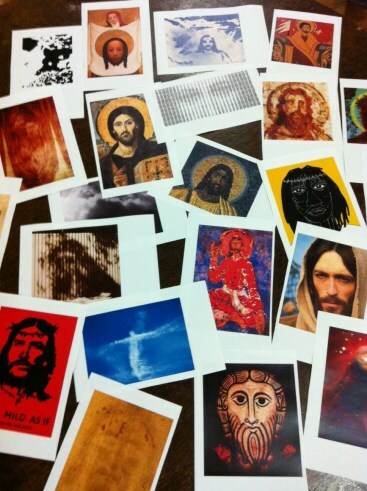 What's your image of Jesus? Most of the people I know who are put off by Jesus don’t really know about the upstart guy that I try to follow, who was all about sharing food with friends and strangers, preaching about economic justice, and making food, health care, and hope available to everyone, regardless of their gender, socio-economic status, age, moral fiber, nationality, or religion. 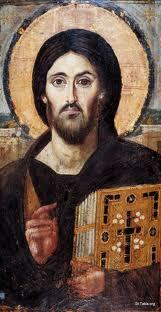 That’s what I think Jesus is. And – bonus fun fact – there are tons of great stories about Jesus and food. What’s not to like? In 1996 I visited the Oregon College of Art & Craft gallery because Shu-Ju Wang, a woman I’d worked with briefly, back when she was a software engineer and I was a technical writer, was having her first solo exhibit of drawings and mixed media work. My husband and I were anticipating the birth of our soon-to-be-son, and were in that strange, antsy, nesting-and-yet-not-nesting place that only someone who has been a prospective adoptive parent can understand. Going to Shu-Ju’s opening was a necessary distraction more than anything else. I don’t remember the actual work on display, except that it was eclectic and varied, something I always like. What I remember is that when I saw this print I knew I had to have it, before I even saw its apt title: Delirious with Anticipation. I may have asked someone at the gallery to set it aside for me before I even finished looking at the rest of the show. I always say I can’t even draw a straight line on the computer, at which point my long-suffering artist friends remind me that making art has nothing to do with straight lines. There are lots of wildly creative people in my family and circle of friends, and I never count myself among them. Instead, the creative impulse grabs me from the outside and says: you, too, get to have this beautiful thing, this [fill-in-the-blank] with enough beauty and creativity inside of it to go around. Gorgeous wool from Uruguay, some magical-feeling notebook paper, a jar of glass beads from the neighborhood consignment shop, an amazing purse made by Judee Moonbeam, Shu-Ju’s print. What about you? What beautiful thing has leapt onto your wall or into your life, unexpected and unbidden? I’ve got two favorite daily cups: the one I have first thing in the morning, usually between 5 and 6 am. That would be tea, steeped strong, with a little one-percent milk. I’ve got fairly strong needs around this cup of tea: the kind of tea (Peets’ Scottish Breakfast), the strainer, the water temperature, the time it steeps in its Deruta mug, the peace and quiet during which I drink it….When I travel, I bring all of these things with me, including an electric kettle for boiling water. I like to think that into the making of this one cup of tea I pour all of my obsessive-compulsive tendencies, leaving me free the rest of the day to act like a relatively normal person in almost every respect. My second daily cup happens two or three hours later, just before going into my office. After making the day’s lunches, going to the gym, taking my son to school, and any other domestic errands, I’ll go to one of several regular spots for a latte (12 oz, half-decaf, two-percent milk), and write in my journal, answer email, balance my checkbook, or spend time on a big clunky work-project that is easier done away from the interruptions of the office. 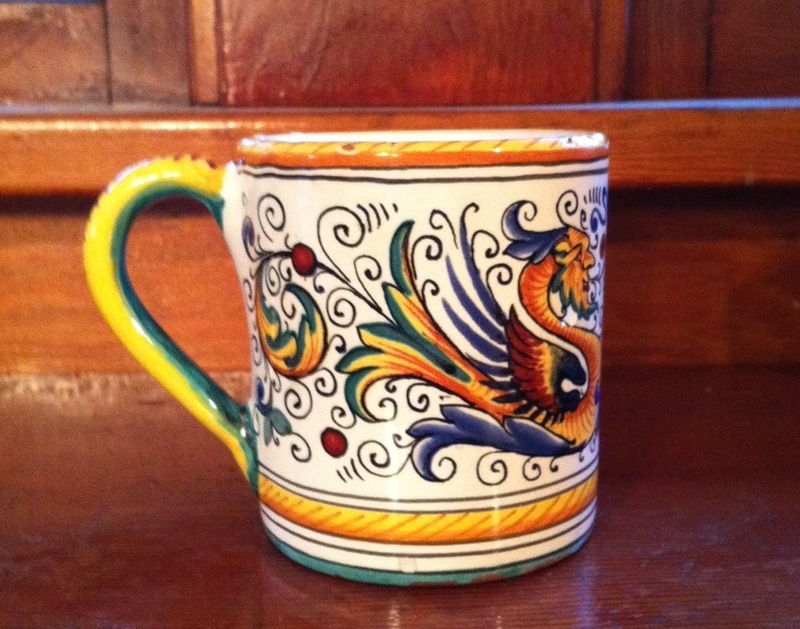 I often schedule meetings with friends – new and old – during this second daily cup. An old friend used to say “Ah, breakfast, one of my three very favorite meals!” or “Do you know that lunch is one of my three most favorite meals?” or “Food, my favorite!” I’m that way about times of the day. My favorite time of the day is that first cup of tea in the dark before anyone is awake. And it’s also that time when I sit down and treat myself to a latte before heading into the office. (Is it still a treat if you do it every day? I think so, although some would disagree.) Or it’s when I finally sit down to the piles on my desk after the morning’s meetings and phone calls, with a clean glass and a fresh pitcher of water, ready to get back to that clunky project I began hours earlier. Or it’s when I fall into bed at night to read a page or two before falling asleep.